I've introduced myself six months ago alongside a hack project called "Moonlight and Shadows: Pokémon" I've decided to move on and keep this story for later, as I have a new one, and this time, it's pretty advanced. I won't show too much as this hack presentation is mostly here because I might have tons of questions :D and I want you to know the context of these future questions to come! This short game is not a classic Pokémon game. 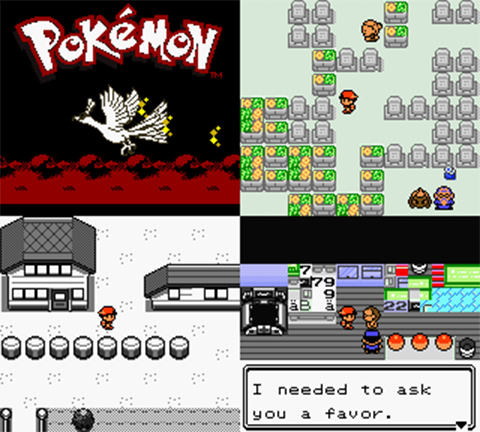 Everything takes place in the Pokémon Tower, Lavender Town. At first, it's just a visit, but soon enough, trouble ensues. Why can you only go upstairs, and never downstairs? Who is the King of the Ghosts and what is he up to? What are the plans of the White Bride? Even more important... what the hell is happening? The Pokémon Tower is aimed to be a short game. No badges, no "Gotta catch'em all", what the heck, there are not even Pokéballs, Gym Leaders, rival, or evil team. No Pokédex! I can tell you what there will be: ghosts. Everywhere. Ghosts, sad stories, blood and a whole Army hidden in a place where light gave up a long time ago. Well, I don't know! You all guys are really really helpful, I've been lurking for ages and reading and playing and reading again, I just want to say thanks to all of you :) The rest, I'm, for now, working by myself with the Compendium, JohtoMap, GoldFinger and Tileset Editor. Rock on! Wow, is this a creepypasta hack? Looking good. Can't say much else by the four screenshots though, but I might just comment something else later when you've got more to share. By the way, I personally like the idea behind this hack. I like that ghosty storyline! Keep this up! Looks very nice. Don't forget to hack the music, if you can do that. I have to say I'm liking what I'm seeing so far. Keep up the excellent work mate! Hey, thanks for the lovely messages :) All the events are devised, I'm now writing the dialogues and integrating them in the game. It's not the hardest part, but it's the one which will make you want to read them at least twice. Music can be changed manually with a Hex Editor and FroggestSpirit's GSC Music Format document, if you know the Music offsets. It can also be done with FroggestSpirit's MIDI -> GSC, but the problem of that is that it is difficult to know how to splice the sound layers, and I (maybe anyone does?) don't know the Music offsets. What about the development of this hack? A cool hack! Yeah that's what i want to play. And finaly ghosts are included in the storyline. Hey as TheMoneyOfTheWorld said don't forgot to hack the music,why don't you add the music of Shoal Cave (R/S/E). It is a cool music from ghostly places. Nice.... when will the demo come out?